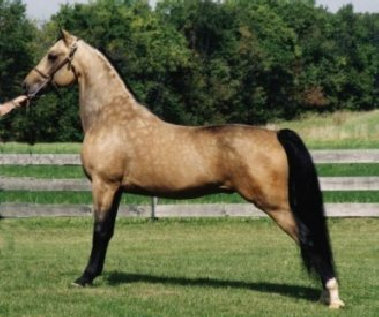 the first BUCKSKIN to do that!!! 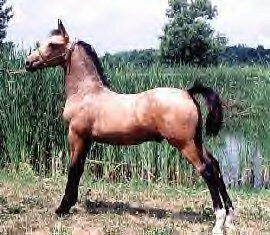 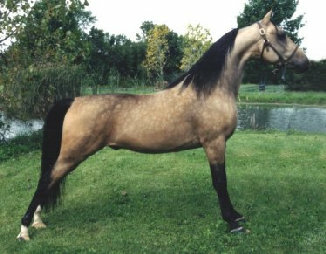 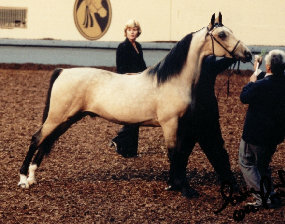 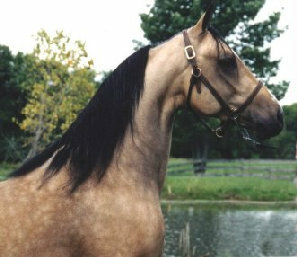 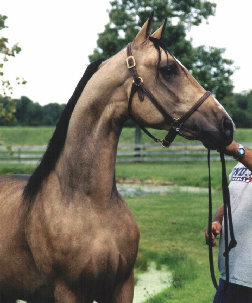 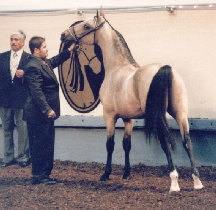 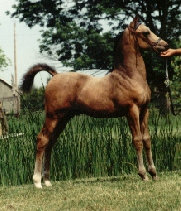 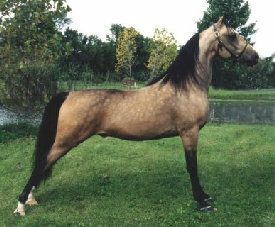 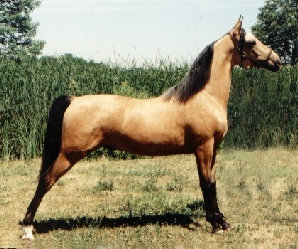 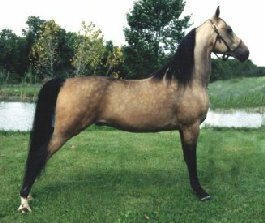 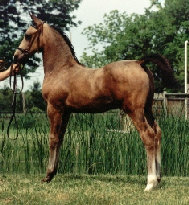 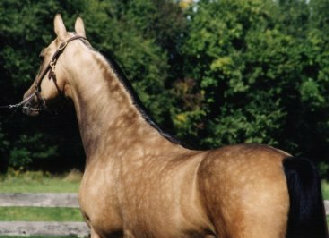 Picture taken July 11,2002 as a yearling. 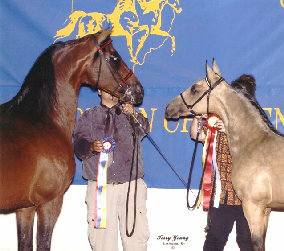 in Oklahoma City, in October 2002.
by Patty Clark- Keepsake Designs. 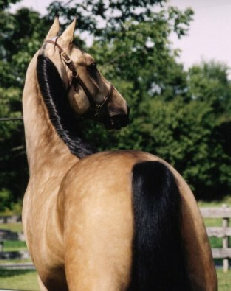 Looks like his right side is "his best side!" 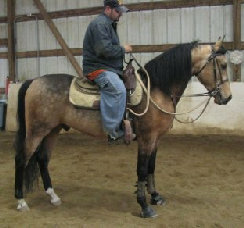 Obviously the nicest World caliber buckskin you will find in the country! 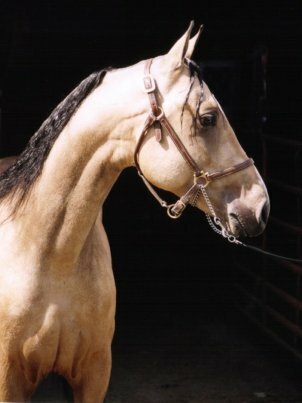 and YOU could be his lucky new OWNER ! 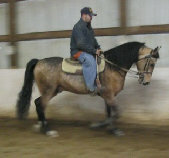 These pics taken early April 2004.